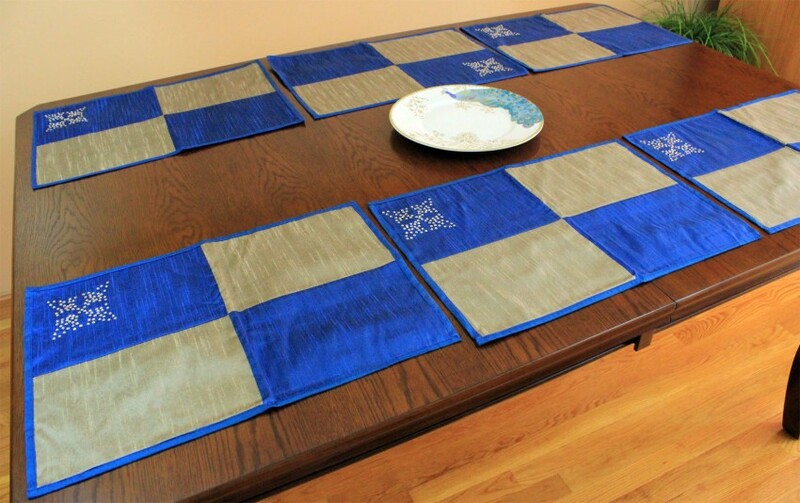 Stunning contemporary colorblock placemat set gives any table an instantly updated look. 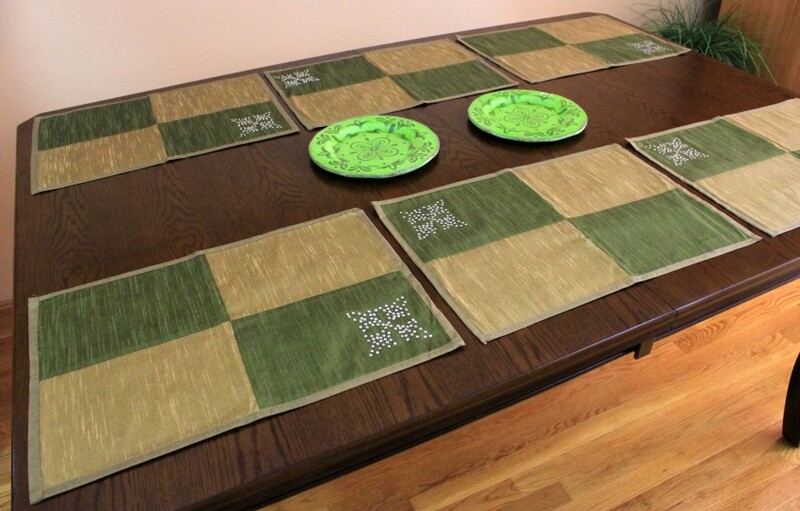 Dress up any modern dining area with this elegant hand embroidered colorblock placemat set. 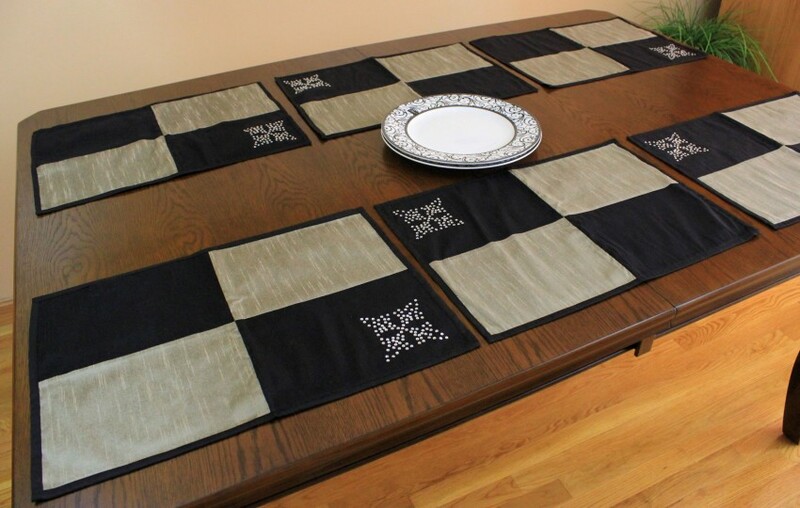 Featuring delicate stone work and lush fabrics in six splendid pieces, these beautiful placemats are sure to enhance the look and feel of any table; thus, they are indeed an excellent addition to be used with a tablecloth, a table runner, or simply by themselves for a one of a kind look. 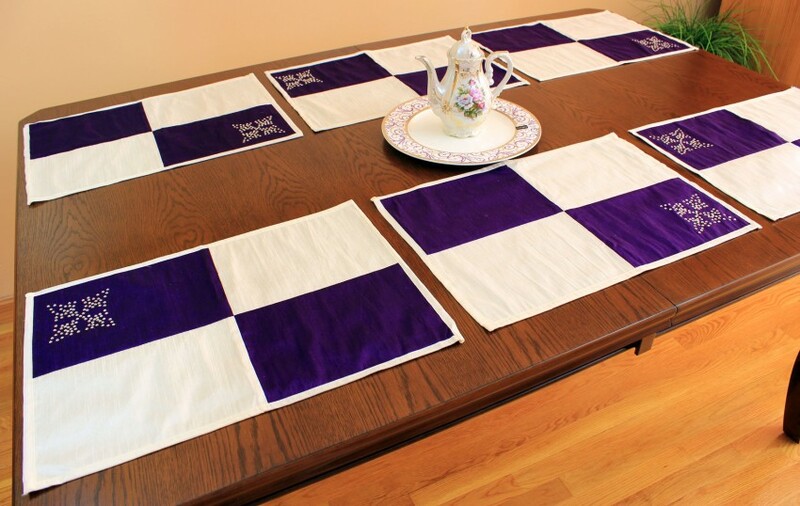 This impeccable placemat set adorns your dining room table and creates a conversation piece among your guests. Whether you are looking for a placemat set for a dinner party or just want to revamp your everyday dining room, these luxurious linens will add an extra special touch to your current décor.